PLATO is a lively and vigorous European collaboration – many European research institutions and hundreds of European researchers are working together, with scientists from all over the world completing the team. The catalogue of potentially habitable planets provided by PLATO will be the basis for follow-up measurements to confirm discoveries of new planets, using the European Southern Observatory's European Extremely Large Telescope (E-ELT), or the next generation of large space telescopes, like the James Webb Space Telescope. With PLATO, Europe will be leading the search for habitable exoplanets. Only a measurement of both the radius and the mass of a planet allows us to distinguish between a "mini-Neptune" with a high gas content, but a low density – like the two outermost planets in the Solar System – or a rocky planet with an iron core, like the Earth. Without this information the habitability of a planet cannot be determined. Some known extrasolar planets are "super-Earths" with sizes and masses somewhat larger than the Earth's. These two fundamental parameters are not known with sufficient precision for most exoplanets. The scientific objective is based on previous successful projects, like the French-European space telescope CoRoT or NASA's Kepler mission. 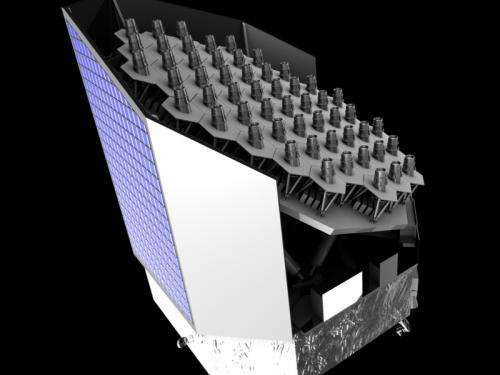 It will also take into account the mission concepts that are currently under preparation which will "fill the gap" between now and PLATO's launch in 2024 – NASA's Kepler-2, and TESS missions and ESA's ChEOPS mission. Kudos to ESA for approving PLATO. Too bad it will launch in 10 years though. Observing 10exp6 stars with 1%-2% statistically aligned such that it can see transits and with most stars now expected to have planets, around ten thousand solar systems will be characterized. It's better than Kepler in that it detects planet density and host star age and data.